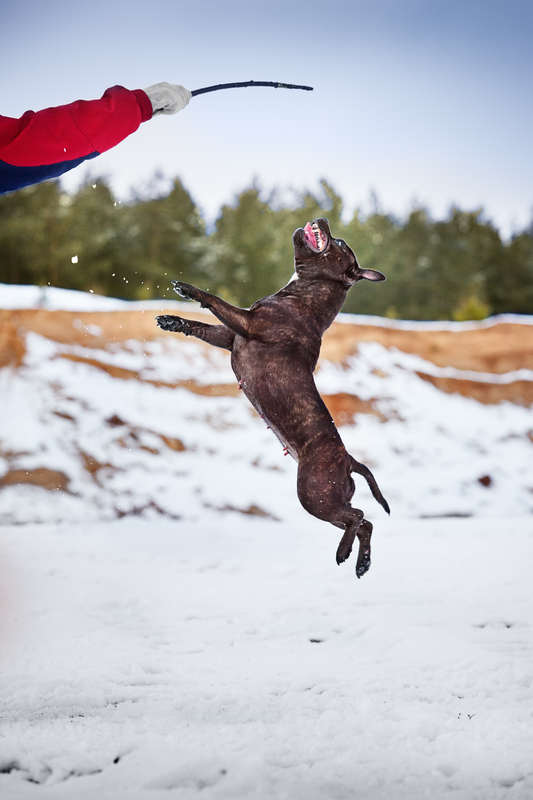 Staffie's standard height is 35-41 cm and 11-17 kg, but in practice we can see many bigger, heavier dogs – especially males. 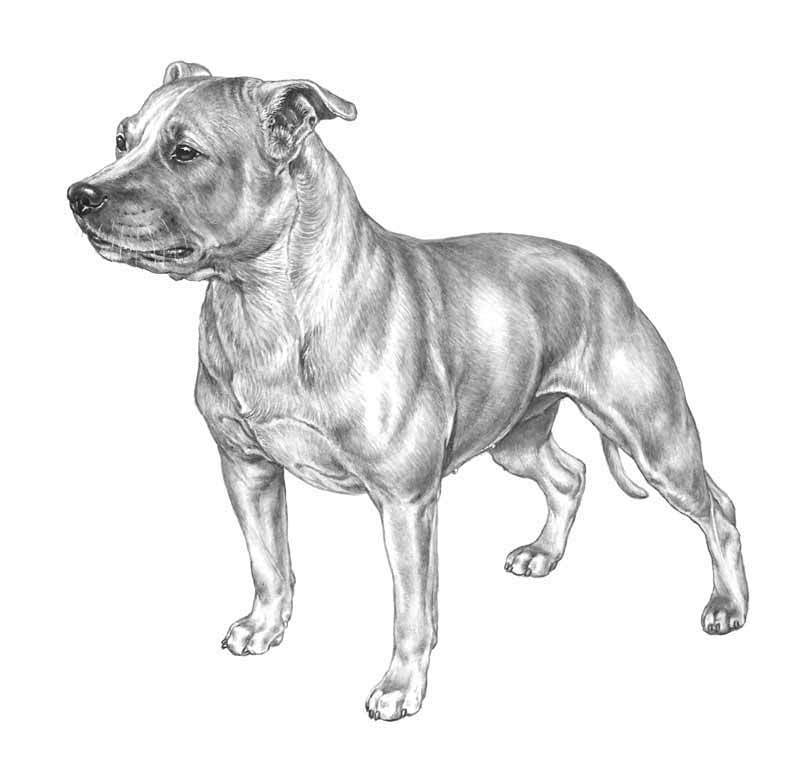 Their exterior is very differential – from big, heavy, lymphatic dogs in bulldog type, with very strong bones, large skull, short muzzle, to more terrier type dogs – not so big, but more agile, with slighter skull, longer muzzle and legs, often with half-pricked ears. We can see many middle form between these two types. Every breed has officially registered description of her perfect type - ideal we try to achive in breeding and model to judging dogs on shows. 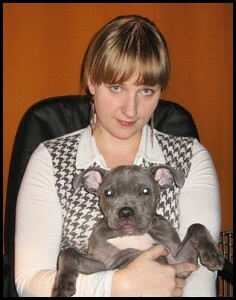 There you can refer to the staffordshire bull terrier standard.